Michael Niggel, CEO of Advanced Concepts and Technologies International, will continue to serve on the Professional Services Council’s board of directors for the second consecutive year. “PSC provides a forum for open dialogue between the public and private sector to address the needs of our nation, including critical national security and civil support,” Niggel said in a statement released Thursday. The council elected him for a three-year term that commenced on Jan. 1, 2018. At ACT I, he oversees the implementation of the company’s strategic goals and development of total acquisition management service offerings for the departments of Defense and Homeland Security as well as foreign military sales clients including participants in the F-35 program. 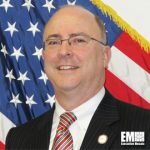 Niggel previously served as vice president and operations manager of Science Applications International Corp.’s (NYSE: SAIC) technical and business solutions division, which focused on supporting the National Defense Panel under the Office of the Secretary of Defense. He has penned multiple studies and papers about cost estimating, modeling, analysis and systems acquisition reform. Tags ACT I Advanced Concepts and Technologies International featured govcon Michael Niggel professional services council PSC SAIC Science Applications International Corp.